Media and Journalism Department (previously known as Mass Comunication) was established In January 1987, with a view to enhance and diversify the teaching capacity of University of Balochistan. Regular teaching started in March 1987with a small faculty consisting of only three lecturers. After four months in April 1987, Ms Seemi Naghmana Tahir was promoted as Assistant Professor and she formally took the charge of the Department as Chairperson. 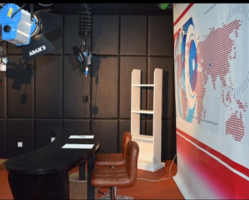 In the beginning due to various constraints, more emphasis was laid on theoretical perspective of Mass Communication and only four out of 12 courses had a practical component. 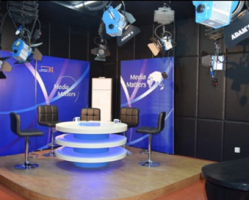 With the passage of time and enhanced faculty, new disciplines were introduced and more efforts were put in to bridge the gap between theory and practice of Mass Communication. 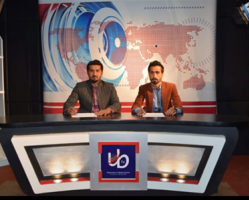 Now the Department of Mass Communication, University of Balochistan is at par with most of the universities of the country with enhanced faculty. Hundreds of students graduated from this Department since 1989 are performing in different media organizations i.e. 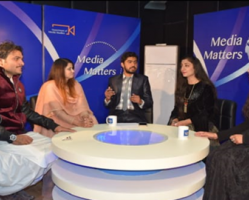 Radio, Television, Newspapers, Directorate of Public Relations, and Public Relations Wings of various provincial and federal government departments, and even some of the students of Mass Communication Department, University of Balochistan own their newspapers.